Yoga is learning to come back to yourself. It's finding your limits, expanding your boundaries, and being able to truly relax into who you are. It's about taking time to remember who you are but have forgotten while being caught up in the whirlwind of a fast-paced life. 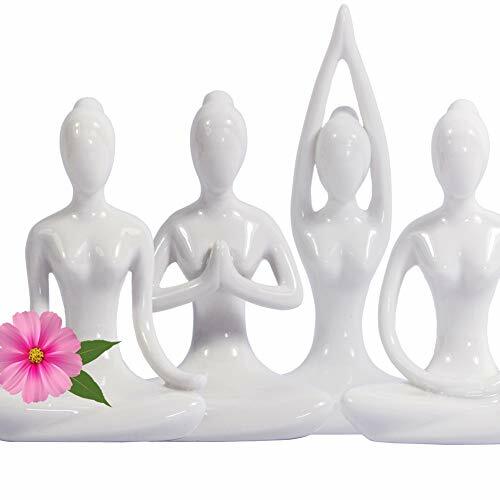 Measurement of three yoga pose: 4.25"(H) x 3"(W) x 2" (Depth); One pose with size 5.5" x 3" x 2"
Unique Gift for Yoga lover, wedding gift, Christmas gift, mother's day gift, house warming gift, yoga room shelf sitter etc. If you have any questions about this product by KiaoTime, contact us by completing and submitting the form below. If you are looking for a specif part number, please include it with your message.